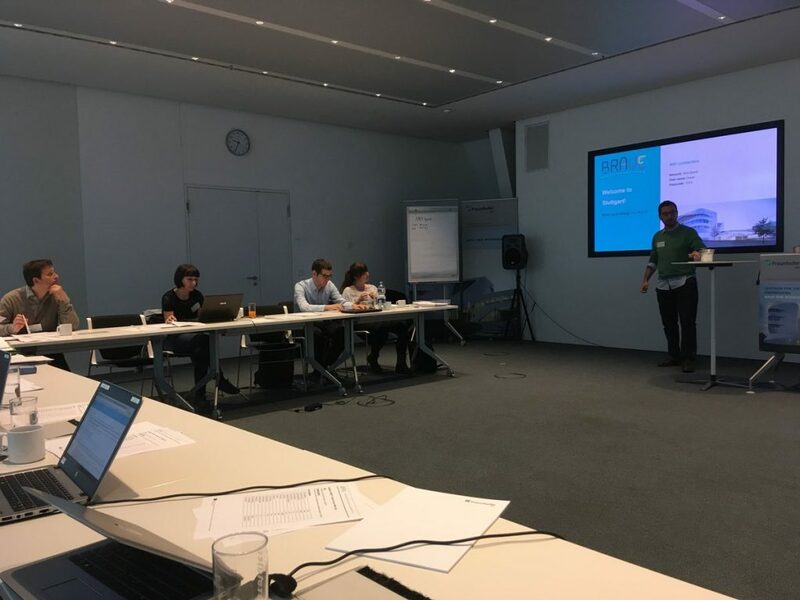 On the 23rd and 24th May 2018, BRAVE partners gathered in Stuttgart (Germany) for the second consortium meeting. One year after launching the project, this was the opportunity to summarize all the work done in each Work Package, and to further discuss the tasks ahead. Some specific focuses were especially provided on the recent test activities, as well as the outcomes of the focus groups (users panels). 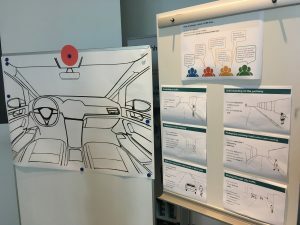 Additionally, the project partners also had the opportunity to take part in a workshop, to define the main requirements of the next HMI (Human-Machine Interfaces) to be tested on Fraunhofer’s virtual reality tools. The objective was to identify the information to be displayed, signals and driver’s monitoring systems to deploy to favor the driver/vehicle interaction, for level 3 automation, regarding various use cases. 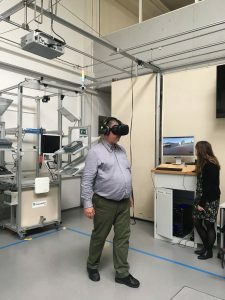 This event was also a great occasion to discover Fraunhofer’s lab, learn more about the activities going on in the facilities of Stuttgart, and to test some Virtual reality equipment.